Before I delve into this blog and its seemingly mundane menu item, I must first preface what follows with this: This meal is the closest I have felt to home (the foothills of Georgia) in a long time. Food has that miraculous power that music possesses. It can take you back to a special time and place. This meal took my stomach on the fantastic voyage to my grandmother’s kitchen. Mrs. White’s Golden Rule Café rests on the corner of 8th and Jefferson streets, and hearkens to be the soul food spot in the Valley. Given my personal attention to this type of cuisine, I am inclined to agree. Upon entering, you’re immediately greeted by Larry Sr. (Mrs. White’s oldest son), kindly steering you to a good seat. 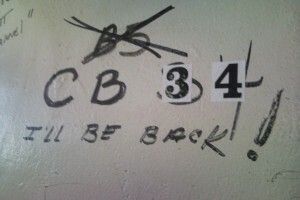 Immediately, you’ll notice the autographs strewn across all of the walls — most notably the big “CB 34 I’LL BE BACK! 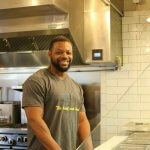 !” This place has the signatures to prove that it slings some serious chow. Even though Charles Barkley is from Alabama, I will still trust his judgment skills of authentic soul food. This little café proved further its proper place in my heart when the drinks were listed off. Sweet tea is the nectar of the gods, especially when it is sloshed into a glass with familiarity. I literally swoon at the events that follow. After my glass of sweet, heavenly nectar tea was slid my way, the first plate that graced my table was a slice of homemade cornbread. Heck yes. This stuff was buttery and sweet. Obviously, this bread came from a recipe of someone who knows what is up. Then, the triumphant plate seemingly shook my table — southern fried chicken with green beans (served the right way with baked potato bites) and gravy-smothered rice. This spread can only have been intended for a king. Surely, they were supposed to deliver this type of Utopian cuisine to someone more deserving. This Southern gent was not complaining, though. Let the feasting commence. Charles Barkley knows what's up. Every bite of the chicken is song-inducing (at least the angel choir in my head sang every time). 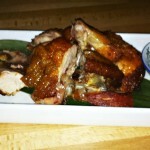 This chicken was steeped in succulent taste from beginning to end. There were no bad or dry parts. 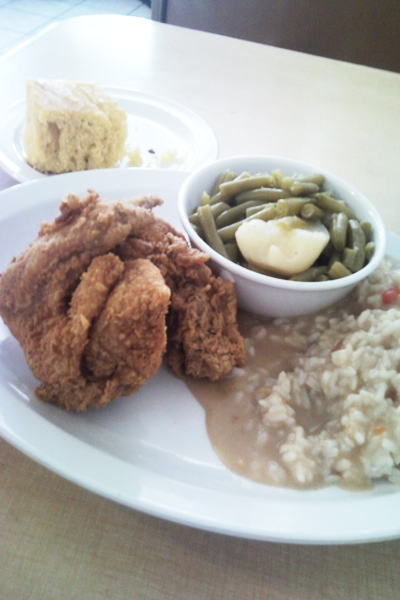 If you were to search the dictionary for the word perfection, you would absolutely see a piece of Mrs. White’s chicken. 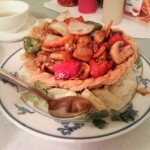 In fact, I am a little teary eyed writing this because I miss eating it right now. Mrs. White’s Golden Rule Café is a beacon of true homemade goodness here in Phoenix. There is nothing I would change about this place. My only complaint was that I was too full to order the peach cobbler. Next time, my sweet. Next time.